Harbour Pointe sits on Big Lagoon near Snug Harbour, where the land creates a bit of a point into the water. This creates some sweeping views of the Intracoastal and the Gulf, as if surrounded by water on three sides. Southwest of downtown, it's just a short walk to Bay Beach and near the Air Station Trout Point Nature Trail. You can also drive over to Perdido Key for public beach access. 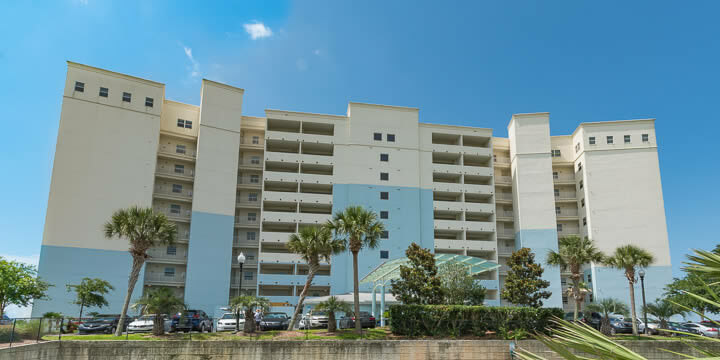 The gated 8+ story towers were built in 2006, but have been updated and maintained as all luxury properties are, with well-appointed units boasting upgrades like hardwood flooring, huge master-baths with jacuzzi tubs, walk-in closets, floor to ceiling windows, designer kitchens, and a secure lobby. Boat slips can be purchased to keep your watercraft at hand, with easy access to the waterway or Gulf. The amenities at Harbour Pointe are excellent, as you might think. You will find a beautiful pool and hot tub directly on the lagoon, a fitness center, meeting room, and a private fishing pier. 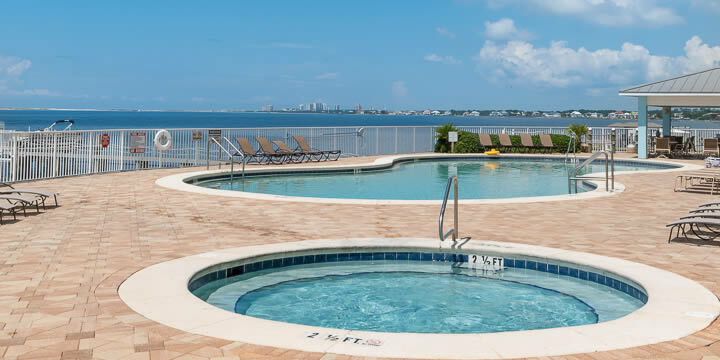 Spend a day by the pool, some time on your boat, and the nights at an exciting Pensacola nightclub. The resort is family-friendly and has a great rental history if you're looking to pay for some of that luxury too! Two and three-bedroom units are available with living space from just under 1,200 to 2,100 square-feet. Prices range from the low $300,000's to just under $500,000. If you are looking for a beautiful resort to spend your vacations or a vacation rental property, this is one of the nicest ones you'll find. Call us for a look at the available Harbour Pointe condos for sale, and we will show you what they offer.